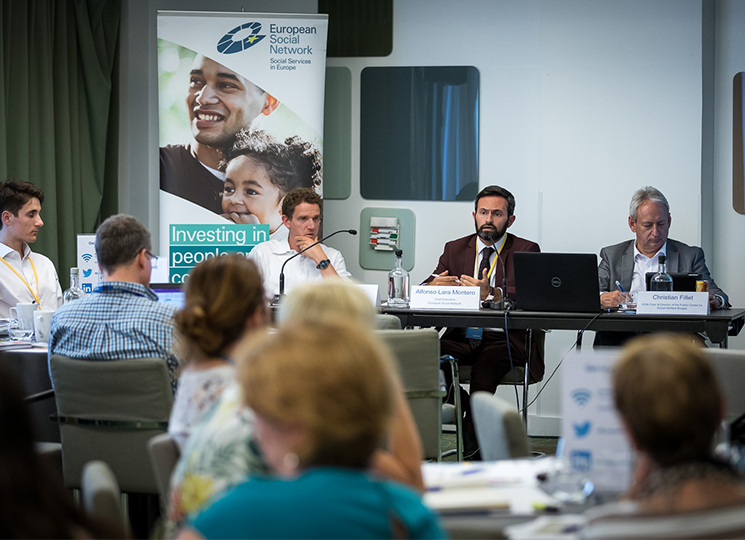 The third peer review of the project ‘Investing in Children’s Services, Improving Outcomes’ looked at the implementation of the European Commission’s Recommendation ‘Investing in Children, Breaking the Cycle of Disadvantage.’ The meeting brought together representatives from national, regional and local government, public and private children’s services from Hungary, Belgium, Portugal, Romania and Italy. 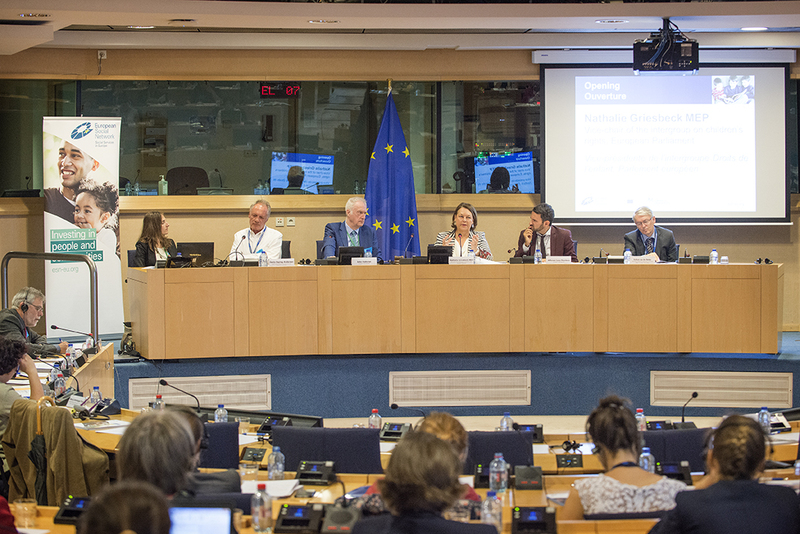 The second and third sessions of the meeting included five presentations from the participating countries, followed by a discussion between the national delegations, which served to illustrate positive trends and challenges in the implementation of the EC Recommendation. In Hungary, a significant number of services were documented at local level (e.g. the network of district nurses, child and family welfare services). However, these need sufficient financing in order to ensure their frequency and quality. The decrease in financing for ECEC services and healthcare has negatively impacted on local services. Regional variations in service provision occur among the more than 300 municipalities, some of them with ageing populations. Belgium faces additional challenges due to its complex social and institutional structure, which also creates difficulties in data collection across the two communities. Despite increased emphasis on local public social networks (led by the Public Centers for Social Welfare) to fight child poverty, the cost of education remains unaffordable for disadvantaged children. Portugal outlined issues with quality of children’s services, and highlighted a need for professionals working in the early childhood education sector to be trained at higher education level. In terms of children in care, the child protection programme SERE+ has helped to reduce the number of children in residential care, but challenges still remain for foster care (which has declined by 2.1% between 2010 and 2014). In Romania, despite an increase in kindergartens from 2000-2002, ECEC services for 0-3 years have been reduced since 2001 and remain inaccessible for Roma children and children with disabilities. Discussion is ongoing on a medical versus social model of care for children with disabilities. Despite some progress, parental poverty remains the main reason for children to be taken into residential care. A decline in funding and service provision of ECEC and large regional differences are key challenges for access and quality. According to the Italian national delegation, there are two main issues regarding children’s services; health poverty and developing alternative family care to reduce the number of children in residential care. Closing the session, ESN’s Policy Director Alfonso Lara Montero highlighted that “several countries have already in place many of the approaches advocated by the Recommendation and presentations illustrated progress in ensuring access to education, housing, healthcare and child protection for disadvantaged children. However, a number of challenges remain for children’s services due to the recent economic crisis; including issues related to the inclusivity, affordability and quality of services, as well as the development of effective mechanisms to ensure that the child’s voice is taken into consideration both in service design and service provision”.